The ETAPS poster session provides an excellent forum for authors of all tracks to meet and present their work via the medium of posters. The interactive setting is a great way to engage other participants of the conference and to receive feedback from the community. The session also serves to inform participants about interesting papers being presented later in the conference and attract them to presentations that might interest them. We invite poster submissions covering any aspect of programming, systems, languages and applications. We especially invite the authors of papers on any of the ETAPS conferences and workshop to additionally consider submitting a poster and presenting during the poster session. This year the poster session is split into two events. The workshop poster exhibition will take place Saturday and Sunday, April 6-7. Posters will be displayed throughout the venue. Authors will be encouraged to make themselves available during breaks to present their posters and answer questions. The main poster session takes place on Monday, April 8 in the evening. The posters will be displayed during the reception. Poster authors will be asked to present the posters and answer questions throughout the event. 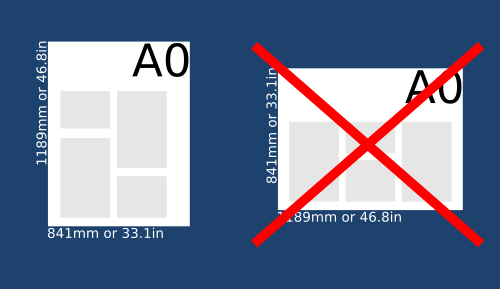 The size of the poster presented during the poster session should be A0 (W 841mm × L 1189mm or W 33.1in × L 46.8in) and it is required to be in portrait orientation. In addition to the poster itself, we require an accompanying abstract and a 2-page extended abstract explaining the work presented in the poster. We use these as aids in reviewing the posters. We also use the former as a blurb for the poster on the conference website. The option to pre-submit with just an abstract is available. Please note that neither the posters nor abstracts are featured in ETAPS proceedings. In case of questions email: siekkonr@fit.cvut.cz. We made a checklist to help you to prepare for presenting at the ETAPS 2019 poster events. Please make sure to read it carefully. Print out your poster in A0 format or smaller in portrait orientation. The dimensions of A0 are W 841mm × L 1189mm or W 33.1in × L 46.8in. Note that we will not print posters at the conference venue (we do not have the facilities to do so). If you do not wish to travel with a poster, but to print your poster in Prague instead, we can recommend a couple copy centers close to the conference venue or ones easily accessible by public transit and where we are assured that most of the staff speak English. Please write your name and your contact information clearly on the back of the poster. Do this twice: once on the top of the poster, once on the bottom of the poster. Make sure the name is clearly visible when the poster is rolled up. The main poster session will take place on Monday, April 8. The workshop poster exhibition will take place over Saturday and Sunday, April 6-7. If your poster is to be presented during the main poster session on Monday, please deposit your poster to the student volunteers at the ETAPS registration desk in the lobby of Hotel Pyramida on Monday morning so that we can set it up for you. If your poster is to be presented during the weekend poster exhibition, please deposit your poster to the student volunteers at the registration desk at the Faculty of Mathematics and Physics of Charles University. If you insist on setting up your poster yourself, please arrive 15 minutes before the poster session and present yourself to one of the poster chairs or the student volunteers present in the exhibition area. We will show you where to hang your posters and give you the materials to do so. 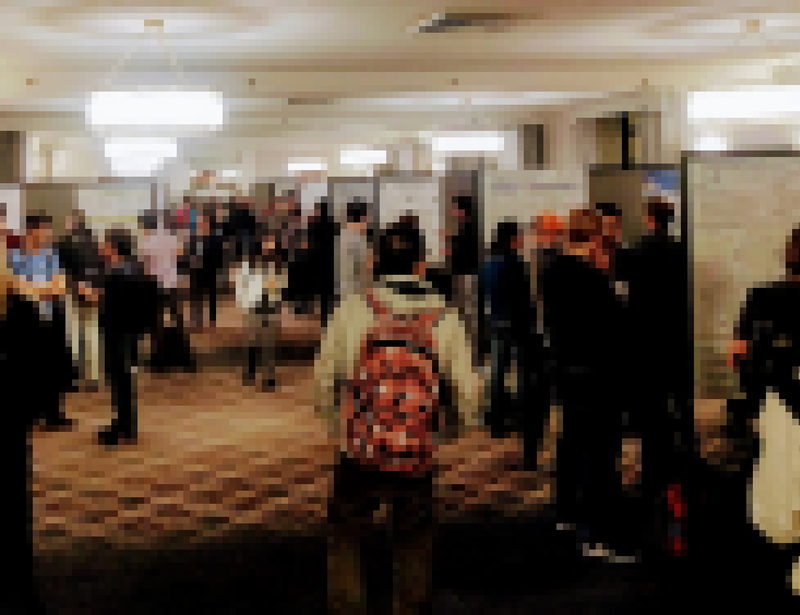 If your poster is to be presented during both the weekend poster exhibition and the main poster session on Monday, we will transfer the posters between the two conference locations for you. If you are displaying your poster during the workshop poster exhibition on the weekend, ensure that at least one author remains close to the poster during all coffee breaks. If you are displaying your poster during the main poster session on Monday, ensure that at least one author remains close to the poster for the entirety of the poster session. If you wish to keep your poster after the session, you can take your poster with you at the end of the poster event. Posters can also be picked up from the registration desk at the Orea Hotel Pyramida the day after each event. Posters that are not retrieved by their authors by the end of the conference will be subsequently discarded. We will not mail posters back to authors. If you have questions or requests, don’t hesitate to contact us. Questions? Use the ETAPS Posters contact form.